In fact, my very first day at Offshore Sailing School, the instructor made us take off our jewelry and said that we would be wearing gloves, one of the many items on the recommended list to buy for the class. Oh, and you can forget the fashion sunglasses. Sailors wear polarized, sport glasses with a lanyard, because at some point, they will fall off your head or fall in the water. 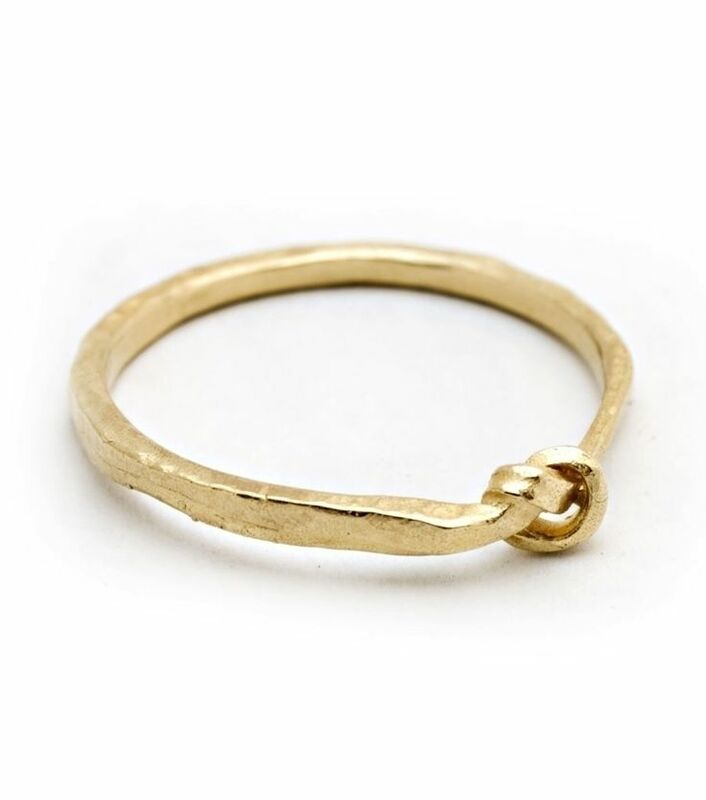 In general, accessories are dangerous on a boat, and rings are one of the easiest ways to lose a finger. Don’t get me wrong! I’m the first person to fall for an image in a magazine of a girl in a gorgeous bikini or elegant gown with heels on, the latest designer sunglasses, nautical jewelry, and a bag to match, but most of it is so unrealistic. 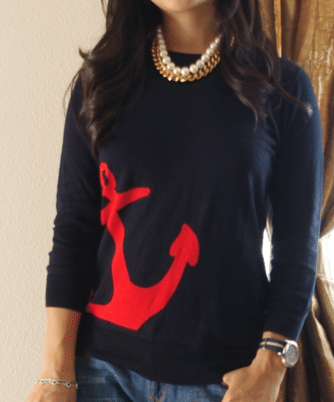 However, I do have several pieces I take on sailing trips and wear at night to dinner or out touring in the harbor towns when we arrive, and I did bring an anchor sweater to wear on this trip. 🙂 The images below have me dreaming of sailing the Med on a beautiful boat, but they are a quick reminder it would be virtually impossible to get in and out of a dinghy without ruining something or walk a gangway without tripping and going overboard. I’m almost certain that long skirt would get caught on the dinghy anchor, as I try to climb my way onto the dock, which by the way is never easy in any length skirt. 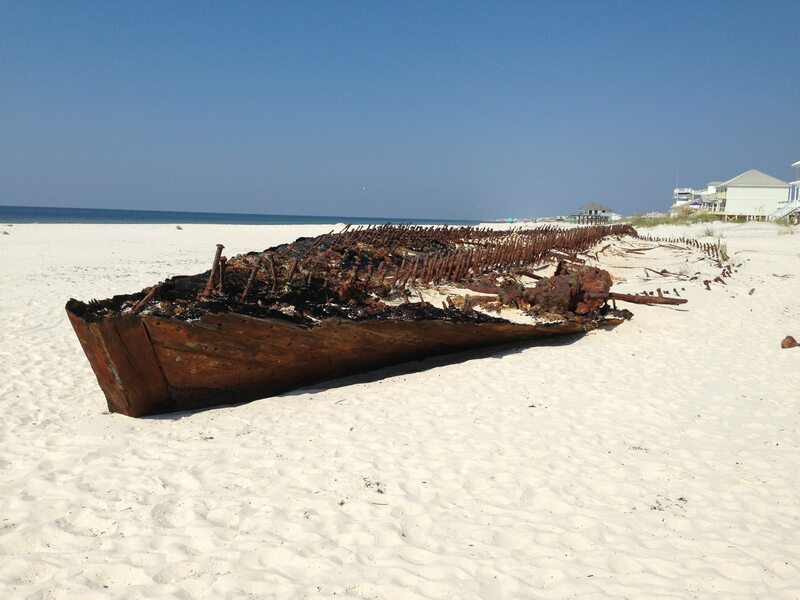 Nonetheless, they are stunning images…. 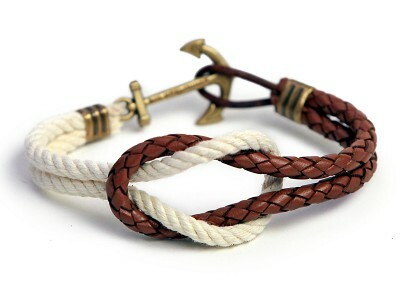 Which leads me to anchors, the most iconic symbol of sailing and a symbol I adore. Because of its intended function, it’s perfectly weighted at the bottom, and I like that in a shape, grounded and stable. It’s also symmetrical, which ranks it high on my list, and let’s not forget that makes it perfect for monogramming, too. When graphically represented, as below, the little flukes at the bottom of an anchor (the arrows for all you non-sailors) point you back up to the top of the shape. The shape itself draws you down with the vertical line of the stem, sinks you deep into the bottom at the weighted part, and then curves and visually points your eye back out and up to the top again. 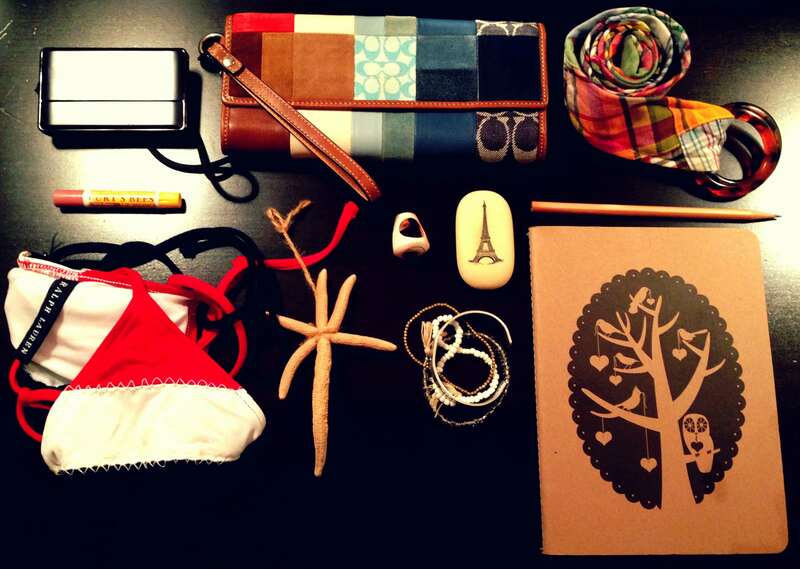 It’s a perfect composition all on its own. 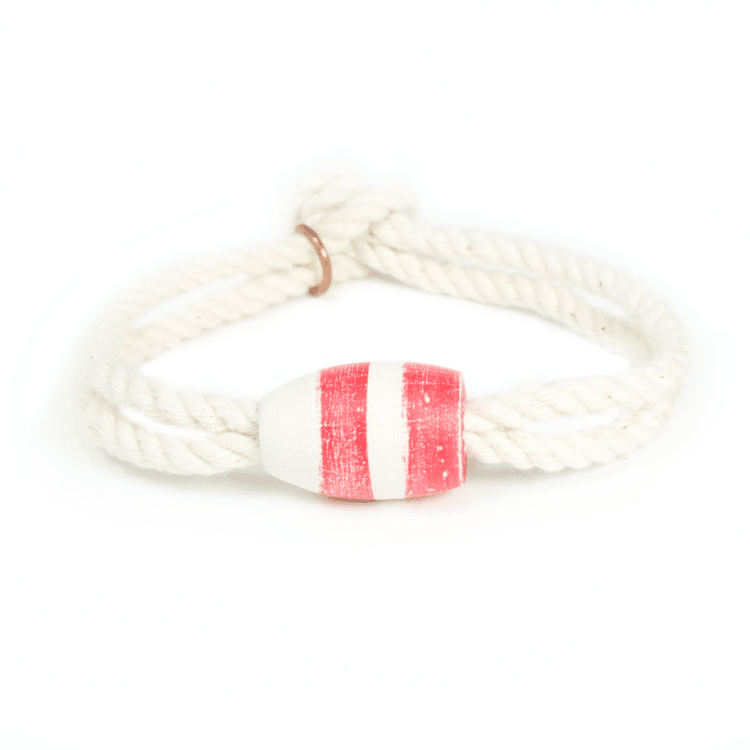 It represents a relaxed, lifestyle near the water, which is something many of us are longing for. 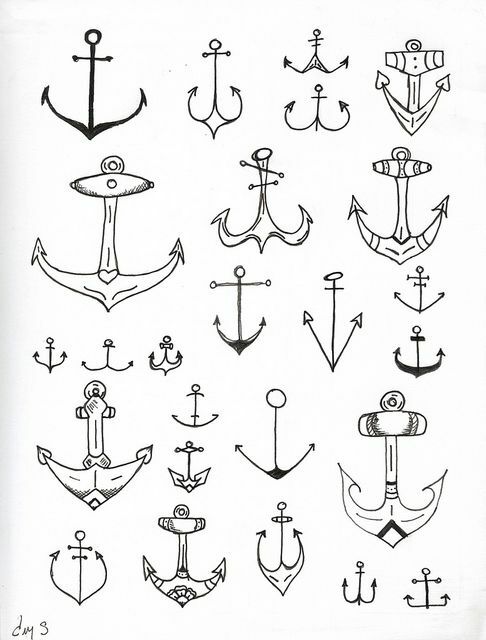 And did I mention the many different types of anchors…. 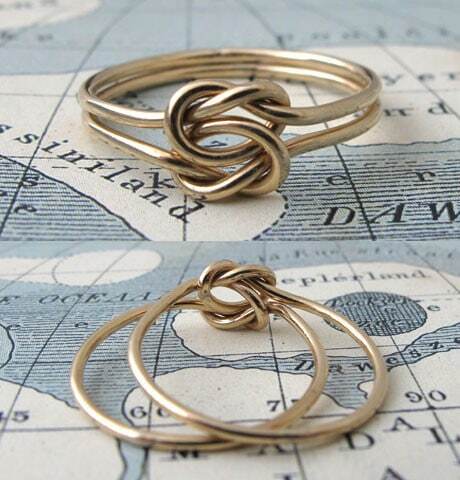 Then there are the knots. After signing up for my first official sailing class (my parents had a sailboat on Lake Lanier), the Keelboat Sailing Course through Offshore Sailing School, you are sent a package which includes everything you need, all your study materials and books, as well as a small piece of rope about 2′ long. 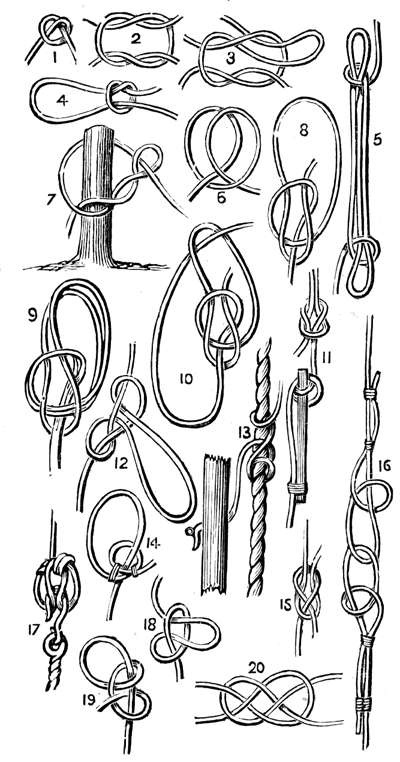 There is a section in one of the books dedicated to knots. Still to this day, I do not know how to tie all the knots. I can’t even begin to know how many there are total. They are like little puzzles, and in the beginning, it seems like you will never get the hang of it. Knots fall into three basic categories, and it’s good to know two or three in each category at a minimum, as they serve different functions on a boat. Before I sail, I have to brush up on some of my knots, but many of them I immediately remember. I always try to learn new ones when I’m on a trip. Plus it’s fun to pass the time when you’re sailing from port to port. You can see below just how puzzling these little things can be to learn, and yet they are so critical to sailing. 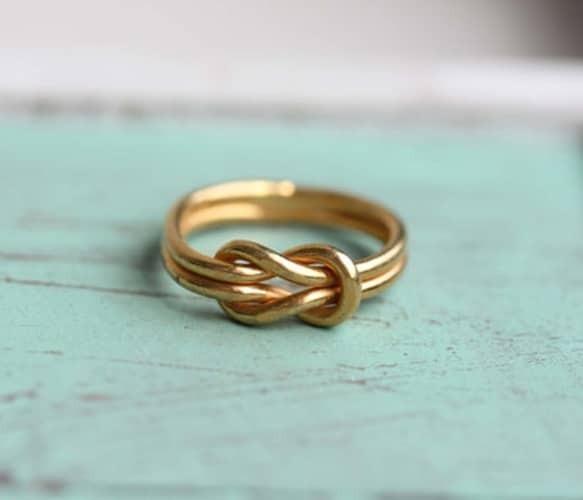 Now for the fun part…below are a few of my favorite nautical inspired pieces and brands that include anchors and knots in the design. 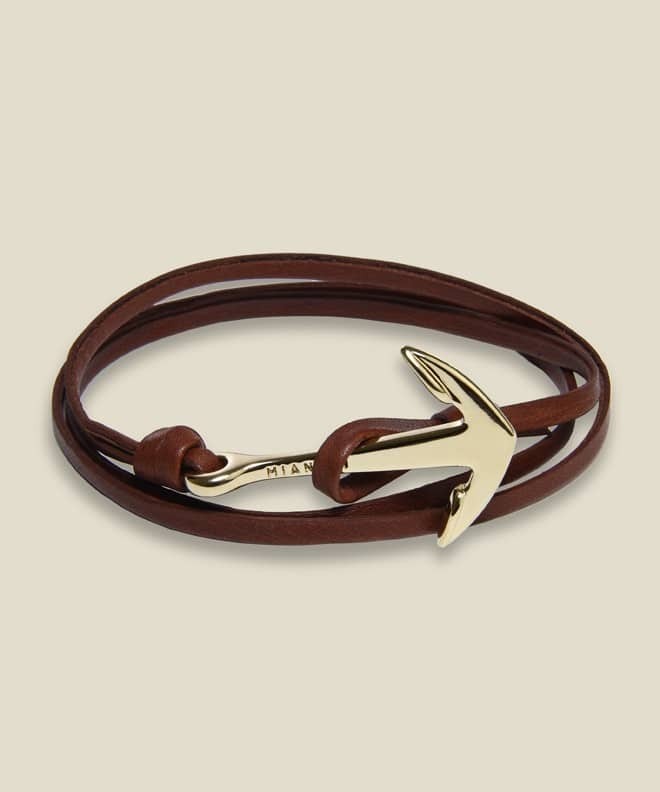 Miansai Anchor Bracelet can be purchased here. 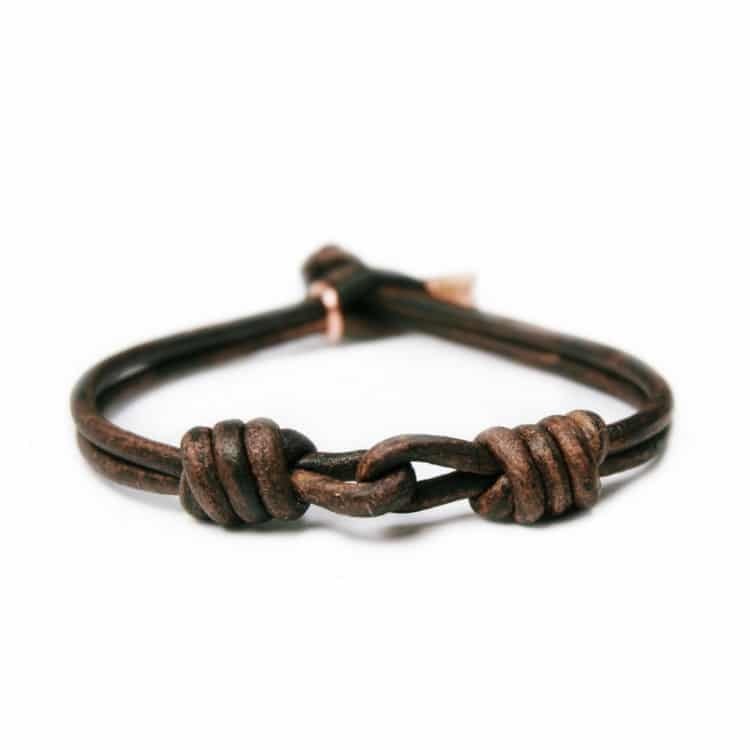 And even better, Maritime Supply Co has a special going on this week. 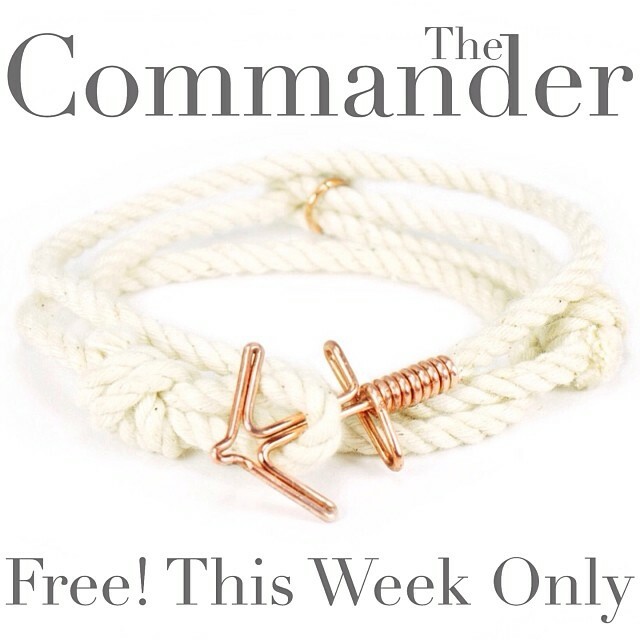 If you spend $55, you get the Commander Bracelet for FREE!!! Here’s the info straight from their website. It’s that one week when everyone looks for deals so here’s ours! Until Saturday, you can get a free Commander with every $55 purchase! And don’t forget to use the code “20SALE” for 20% your order at MaritimeSupply.Co!